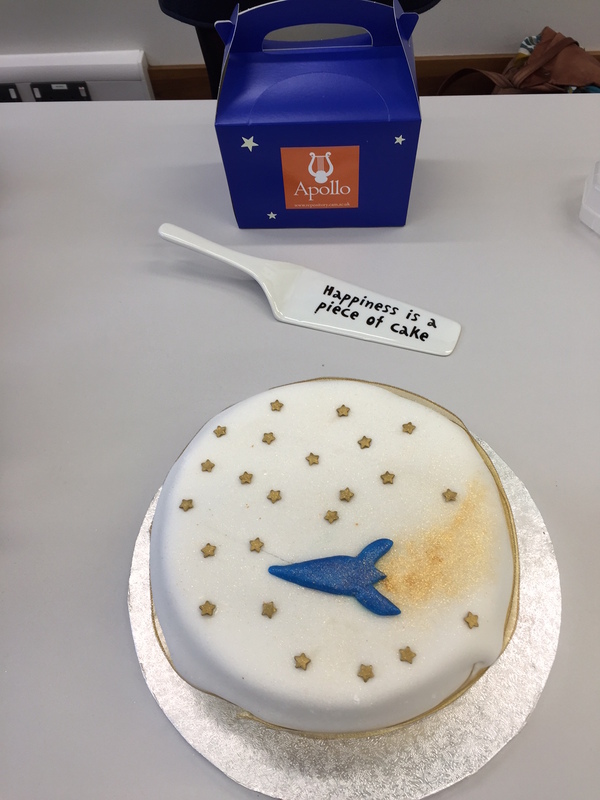 To celebrate Open Access Week 2016, the Office of Scholarly Communication (OSC) officially launched ‘Apollo’, the University of Cambridge’s upgraded open access repository. 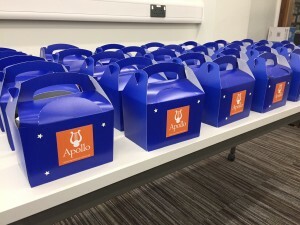 Researchers, University research staff and librarians gathered at the University’s Engineering Department to see a demonstration of the new features of Apollo, speak to some of the University’s Open Access Champions and raise a glass to launch the service. The repository stores a range of content and provides different levels of access, but its primary focus is on providing open access to the University’s research publications. Apollo forms an important part of the University’s provision for meeting research funder requirements for open access, enabling ‘Green’ access to publications. The launch of the upgrade comes at an exciting time for the Office of Scholarly Communication, as the repository has recently received its 10,000th upload. The Cambridge University Office of Scholarly Communication looks after all aspects of scholarly communication within the University. This ranges across the entire research lifecycle from searching for information and collaborators, through to authoring and copyright issues and finally the publication and dissemination process, leading into assessment. The OSC has responsibility for the open access and open data programs at the University in terms of compliance with funders’ policies, and delivers and manages the University’s digital repository, Apollo. Cambridge University was one of a handful of ‘testbed ‘ institutions that participated in the early deployment and development of DSpace, and has been running a DSpace repository for over a decade. Over that time, Apollo has participated in a number of externally funded projects intended to better understand researcher requirements or improve the services it offers. These include: Incremental, DataTrain and PrePARe, which developed resources to support research data management and EPIC and Keeping Research Data Safe (KRDS), which focused on the repository’s preservation services. With the support of RCUK, the OSC have spent £43,000 to upgrade the repository. Cambridge is now leading the country by running DSpace Version 5.4, the most recent and most stable version of the application. This has given Apollo a modern and improved user-friendly interface. The upgrade means we can now increase the services offered by the repository. Digital Object Identifiers, or DOIs, can be minted in-house. The Open Access team has minted over 6000 DOIs since May for articles, theses, datasets and other research outputs. In addition, people identifiers – Author ORCIDs – are now displayed in the repository. The repository is interoperable with other systems and sends ORCIDs to Datacite, which might allow repository items to be automatically populated into Authors’ ORCID profiles in the future. Perhaps the most exciting integration is with the University’s publication management system Symplectic, allowing for easier reporting of Open Access compliance. Part of the upgrade involved the introduction of a new feature called ‘Request a Copy’, designed to open up the University’s most current research to a wider audience. ‘Request a Copy’ operates on the principle of peer-to-peer sharing – if an item in Apollo is not yet available to the public, a repository user can ask the author for a copy of the item. Authors sharing copies of their work on an individual basis falls outside the publisher’s copyright restrictions; here, the repository is acting as a facilitator to a process which happens anyway. The Request a Copy button has been much more successful than we anticipated, particularly because there is no actual ‘button’. By the end of September 2016 (four months after the introduction of ‘Request a copy’), we had received 1120 requests (approximately 280 requests per month), with two thirds for articles. Apart from a small number of requests for datasets, the remaining third were for theses. Of the requests for articles during this period, 38% were fulfilled by the author sending a copy via the repository, and 4% were rejected by clicking the ‘Don’t send a copy’ button. Of the articles requested during this period 45% were yet to be published. The large number of requests made prior to publication indicates the value of having a policy where articles are submitted to the repository on acceptance rather than publication – there is clearly interest in quickly accessing this research, rather than waiting for publication. The Apollo launch was the closing event of Open Access Week at the OSC. Established by SPARC and partners in the student community in 2008, International Open Access Week is an opportunity to take action in making openness the default for research—to raise the visibility of scholarship, accelerate research, and turn breakthroughs into better lives. The OSC also released a daily programme of announcements, blog posts and live-streamed events, which are spotlighted on the OA Week webpage, and celebrated this year’s theme of ‘Open in Action’. Stay in touch with news from the OSC through the monthly newsletter.